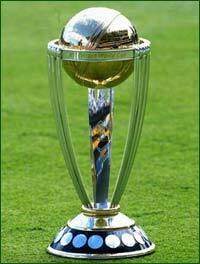 The Cricket World Cup 2011 is behind us and it will fade rapidly and disappear from our consciousness. Especially perhaps in England, South Africa and Australia - but even in the sub-continent where there was more to celebrate. Will the lessons of the tournament be learned by the participants and especially the International Cricket Council (ICC)? For the ICC the 2007 Cricket World cup was a disaster. It dragged on from March 13th to April 28th and India and Pakistan failed to make it beyond the Group stages - unfancied Ireland and Bangladesh took the places in the next stage that had been pre-ordained for these two money-spinning nations. So for a month we had a tournament without India and Pakistan and the sub-continent, Sri Lanka aside, switched off. Never again said the ICC - so for the 2011 tournament no risks were taken. The eight main Test nations were virtually guaranteed a quarterfinal place, which they duly took. Although England made life difficult for a while by losing to Ireland and Bangladesh, which they weren't supposed to do! For India and Pakistan it was mostly plain sailing, as it was meant to be - and as the ICC's sponsors demanded. So what of 2015 - the next tournament? First, you would think, there has to be an acknowledgement that we have twelve decent One-Day International sides. There is the top ten - the eight big beasts plus Bangladesh and Zimbabwe. The last mentioned might be a question mark but they are full members of the ICC and surely by 2015 their nation will have restored a semblance of normality and their cricket as well? Then there is Ireland who have performed brilliantly in the last two World Cups beating Pakistan and England along the way. And The Netherlands who ran England close this time around and are a team comprised of more then decent limited overs cricketers. The ICC, however, has decided that Ireland and The Netherlands will be excluded from the 2015 tournament. It is to say the least discouraging to these two cricket nations whose improvement in recent years has been marked. And the decision makes to logistic sense either. There are virtually no disadvantages to having a 12-team tournament compared with a 10-team one. So what is the solution? In 2015 the Cricket World Cup should comprise 12 teams. Recognising the need for the ICC and the member countries to maximise their income streams there should be a Group phase with the twelve teams divided into two six team Groups. This would mean 30 matches in total in the Group stages which with two matches per day and allowing for travelling and rest time would last about three weeks. Then the top four teams in each Group would progress to the Quarterfinals and so on. Another couple of weeks maximum. A five week tournament - long for sure but much shorter than 2007 or 2011 (19th February - 2nd April). The key would be the scheduling of the Group matches. By playing two matches per day the overall duration is limited - but with Australia and New Zealand crossing five time zones and allowing for a mix of Day and Day/Night matches the television clashes can be minimised. It's perfectly feasible. Over to you ICC ! The world of cricket was rocked to its gleaming white boots today by the news that the Marylebone Cricket Club, its most revered institution, is to sell its iconic Lord's cricket ground and move to a ground share with West Ham United at the Stratford Olympic Stadium. Speaking to the media Secretary and CEO Keith Bradshaw said "I'm sure this news will be a surprise but when we looked at the options this was the one, by far, that was best for our members - who after all own the club". Bradshaw revealed that each of the MCC's 20,000 members will walk away with £150,000 as a result of the sale to the new property development company "Warner-Grace Enterprises". "Lord's is a huge site in a prime area of London. The ten twenty-storey blocks of luxury apartments will fully exploit the location. Each will have a £15million penthouse and with the average price being over £5million for the other flats this is an offer too good to be true". The whole of Lord's will be demolished except the Pavilion, a listed building which will be become a Hotel, Casino and restaurant complex. "The Long Room will become the main gaming hall and we plan to use other rooms, like the dressing rooms, for poker and other games" said a spokesman for the new "Compton Edrich Casino" company. The Media Centre will also remain and become a health and fitness centre and Gentlemen's Club. The MCC became aware of the development potential of the whole Lord's site as it progressed extensive plans for the Nursery End. What came as a surprise was not so much the very high value of the total Lord's Real Estate but the fact that Westminster Council encouraged the development and said that planning permission would not be a problem. A Council spokesman said that in this difficult times assets must be fully exploited and the current use of Lord's was clearly sub optimum. Lord's future as an International venue has also been under question as a result of the recent decision of the England and Wales Cricket Board (ECB) to award Test matches to County grounds like Cardiff and the Rosebowl rather than the "Home of Cricket". The partnership with West Ham is based on the fact that the football club will only need its new stadium for ten months of the year. "There is a window of opportunity for cricket for nearly eight weeks in the summer" says West Ham Vice Chairman Karen Brady "and the MCC's plans to play lots of Twenty20 matches at our new home should bring the money in". She confirmed that there will, however, not be any Test matches at the ground when the MCC moves to East London. Welcoming the move the England and Wales Cricket Board said that it would relocate its premises from Lord's to Dubai. "As the ICC has shown the tax advantages of a move to Dubai are very strong" said ECB Chief Executive David Collier "and we believe there may also be some financial benefits to English cricket as well. We will miss Lord's but nothing is forever and I am delighted that the MCC has been so forward-looking in making this decision." The move has also been welcomed by Arts and Culture Secretary Jeremy Hunt. "This is very much a "Big Society" decision. In the 21st Century we have to work together at all levels to further our society aims. In truth Lord's was rather elitist in the past and I am delighted that much needed housing supply in London will be enhanced and that more productive use will now be made of these acres of NW9." Construction on the new "Lord's Village" will begin immediately the main 2012 fixture has been completed - the Olympic Archery tournament. Asked when the final Lord's Test match would be played Mr Bradshaw replied "Good question - I'll come back to you on that one. Need to check with the ECB"